Rajendra G. Wagh Ex. Professor, Dept of Rasa Shastra and Bhaishajya Kalpana, Govt. Ayurved College, Nagpur, Maharastra, INDIA. Pravin A. Patil Assistant Professor, Dept of Rasa Shastra and Bhaishajya Kalpana, ASPM’s Ayurvedic College Hospital Research Institute, Buldana, Maharastra, INDIA. Prashant P. Budhwat Assistant Professor, Dept of Kaychikitsa, ASPM’s Ayurvedic College Hospital Research Institute, Buldana, Maharastra, INDIA. Ayurveda the science of life is the most ancient medical knowledge in the world. Metals and minerals are in frequent use in Indian system of medicine since long back without any untowards effect. In Bhaishjya Kalpana application of herbal drug externally known as Lepa. Lepa preparation are the topical medicaments meant for external application to the skin or mucosal membrane. The topical preparation include Lepa, Upanaha, Malhara etc. out of many Bahya Kalpana, Lepa Kalpana has due importance in Ayurvedic system of medicine. Lepa Kalpana are used in different conditions like inflammation, wound healing, wound cleaning and many more uses. WAGH, Rajendra G.; PATIL, Pravin A.; BUDHWAT, Prashant P.. LEPA KALPANA - A REVIEW. 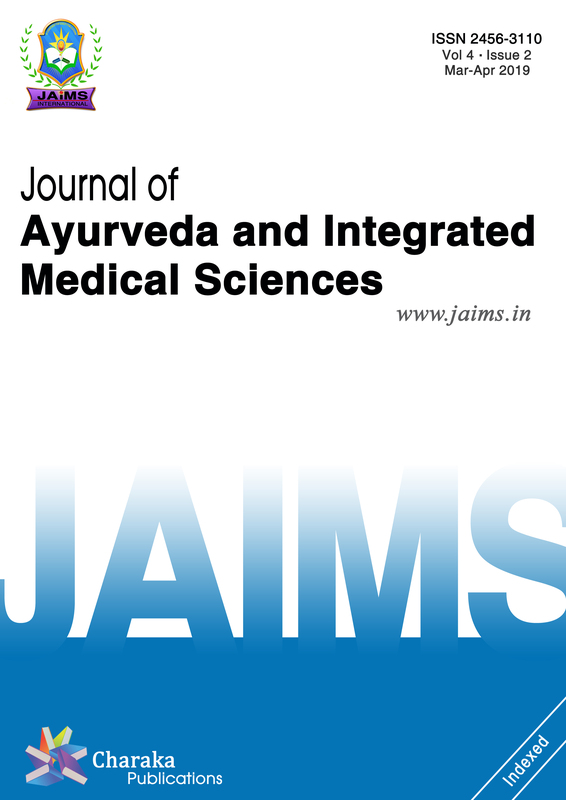 Journal of Ayurveda and Integrated Medical Sciences (ISSN 2456-3110), http://www.jaims.in/index.php/jaims/pages/view/Citation, v. 3, n. 5, p. 151 - 152, oct. 2018. ISSN 2456-3110. Available at: <https://jaims.in/index.php/jaims/article/view/684>. Date accessed: 25 apr. 2019. doi: https://doi.org/10.21760/jaims.v3i5.13834.